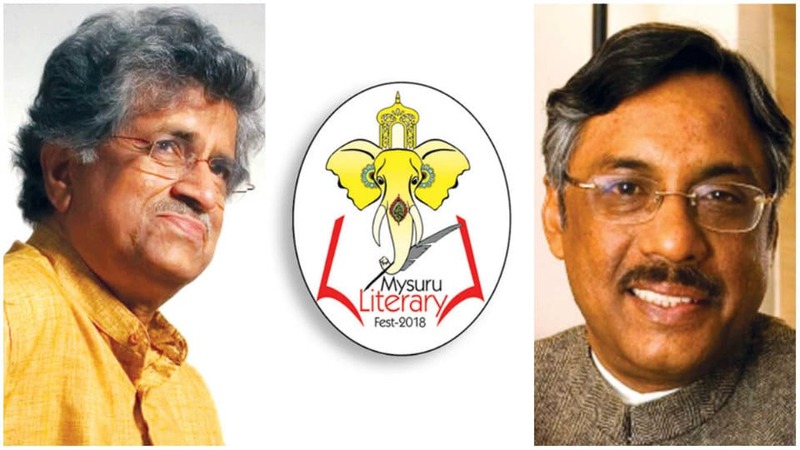 The second Mysuru Literary Fest-2018 organised by Mysore Literary Association (MLA) will be held tomorrow (Aug.12) at the Senate Bhavan in Manasagangothri campus. Since Aug. 8, Star of Mysore has been profiling some of the leading names in various fields who are the panellists participating in the day-long session. The two personalities who are being featured today (Aug.11) are Pt. Rajeev Taranath and Pavan K. Varma. The internationally renowned sarod maestro, Pt. Rajeev Taranath, who turned 85 last October, is one of the illustrious exponents of the ancient “senia” gharana of Hindustani music in India today. Pt. Rajeev Taranath has followed some legendary musicians (and his teachers) like Ustad Ali Akbar Khan and Pt. Ravi Shankar in bringing a global presence to Hindustani music. Recently, the Kannada University at Hampi presented him with the Nadoja award for the highest achievement in Music, as well as his singular contribution to twentieth-century Kannada literature and culture. The first Indian to have played at the famous Sydney Opera House in Australia, he has received several prestigious awards such as the country’s highest award for music, the Sangeet Natak Academy Award, the Chowdiah Award, and others. As the founder of the Pt. Taranath Foundation, he has fostered Hindustani music in South India for many years. Although music drew him away from writing, his brilliant critical work in English and Kannada through the 60s and 70s is still considered to be seminal. A leading figure in the Kannada navya movement, Rajeev Taranath influenced stalwarts like Dr. U.R. Ananthamurty, Gopalakrishna Adiga and Dr. Chandrashekara Kambara. Indeed, he was among those who shaped this navya sensibility through his sharp critical writings and some rare translations of writers like Dr.Kambara and Sri Krishna Alanahalli. Besides, he set a new trend in music direction for the avant garde Film of the South in Samskara and worked with the greats of Malayalam Cinema like Aravindan and Vasudevan Nair. No wonder that numerous documentaries have been made (in India and abroad) and books written on this fine renaissance man of our times. Pavan K. Varma is a writer-diplomat and now in politics, where he was till recently an MP in the Rajya Sabha, and earlier Advisor to the Chief Minister of Bihar, with rank of Cabinet Minister. Author of over a dozen best-selling books, he has been Ambassador in several countries, Director of The Nehru Centre in London, Official Spokesperson of the MEA, and Press Secretary to the President of India. He is currently the National General Secretary and National Spokesman of the Janata Dal (United). Varma was conferred an Honorary Doctoral Degree for his contribution to the fields of diplomacy, literature, culture and aesthetics by the University of Indianapolis in 2005. He was also awarded by His Majesty the King of Bhutan, the Druk Thuksey Award, Bhutan’s highest civilian Award. Varma’s new book, ‘Adi Shankaracharya: Hinduism’s Greatest Thinker’ (Westland-Amazon), was launched in April, 2018, with the presentation of the first copy to the President of India. The book has also been published in Hindi, and Malayalam, Tamil, Telugu, Kannada, Marathi, Bengali and Gujarati translations will be out shortly.